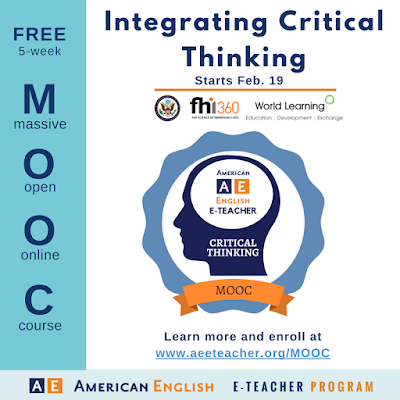 This FREE 5-week course is a great chance for EFL teachers to know more about critical thinking; what it means, how to design critical thinking lessons, and how to evaluate students’ progress in this area. Teachers will spend much time analyzing numerous examples of related activities and lesson plans preparing them to create and share their own with others to get feedback. For more details, go to this link!